Apr 15 Richard – We have forward your comments to our service team and are working with your local office to address your concerns. One of our team members will reach out shortly. Thank you. I have videos of how bad you gutters are. They leak in places where my old ones never did. I paid over $7000.00 for your gutters and they are not worth a damn. Give me an E-mail where I can send my videos and you can see for your self. We had high winds here and two large rain storms. I was very disappointed in them. They were not even close to as good as the old ones I had. Some thing has to be done about this or I will be forced to carry this matter further. thank you. The videos are on my I phone not computer I need an E-mail address. 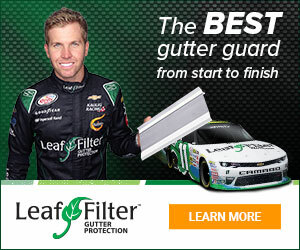 Product or Service Mentioned: Leaffilter North Gutter Cover Installation. Review #1514053 is a subjective opinion of MajesticSeaOtter120.